Lets talk about grapes and wine, shall we? 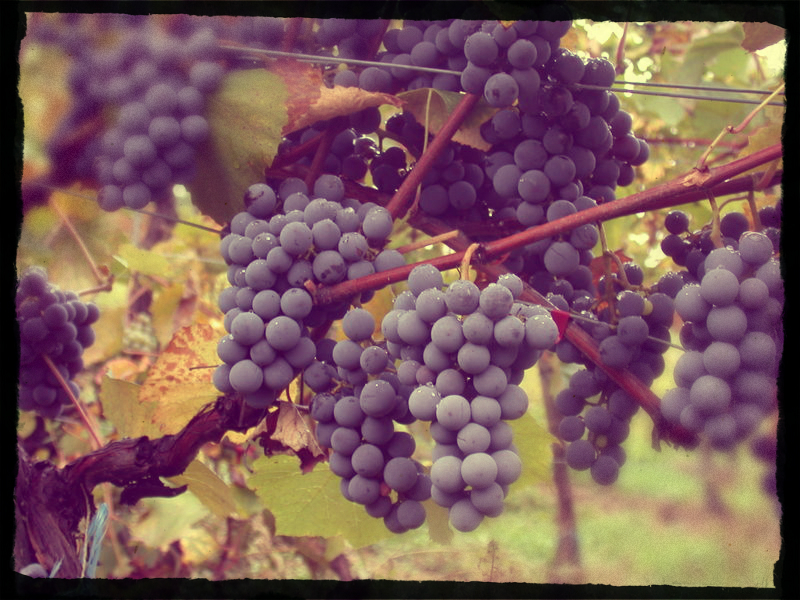 This humble grape is called Gamay. Gamay Noir à Jus Blanc, to be precise. It is mostly planted in France in the area of Beaujolais, north-west of Lyon and along the river Saune. Geographically Beaujolais belongs to Burgundy. Compared to other varieties growing in the wider area of mighty Burgundy, Gamay, in the words of Oz Clarke, was never "blockbusting". It is a grape low in tannins, with high acidity, yet, it can be appealing to those who prefer a fresh, fruity, aromatic and light red. 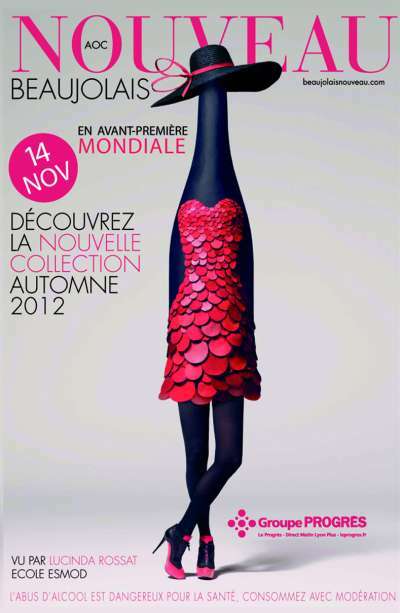 Gamay has become synonymous with Beaujolais which in turn has become synonymous with Beaujolais Nouveau. 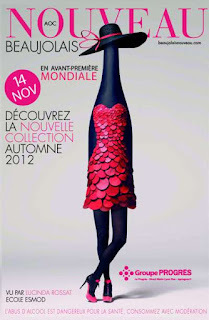 Beaujolais Nouveau is released on the third Thursday of November, a huge PR event, that started in the mid-80's and is still going strong especially in the American and Japanese markets. Most Beaujolais is meant to be drunk young because its lack of tannins make it vulnerable to oxidation and because of its special maceration process, which releases all the aromas of the fruit. This process is called Macération Carbonique (Carbonic Maceration) where carbon dioxide is added to the vats where the whole un-pressed grapes are stored. In this oxygen deprived environment the grapes are "forced" to release their own oxygen and ferment inside their skins, releasing particularly strong aromas. Typically a Beaujolais will give out notes of pears, bananas, raspberries and cherries. 2012 was not a good year for Beaujolais. The production fell almost 50% because of early spring frost and hail storms which wiped out entire plots, especially in the southern part of the region where Nouveau is only allowed to be produced. Some believe that this was good for the remaining fruit were able to draw more of the vine's potential which resulted in a better final product. Others disagree. In my humble opinion, I thought that it was as good as you can expect it to be. Fresh and tangy with strawberry and red fruits aromas. 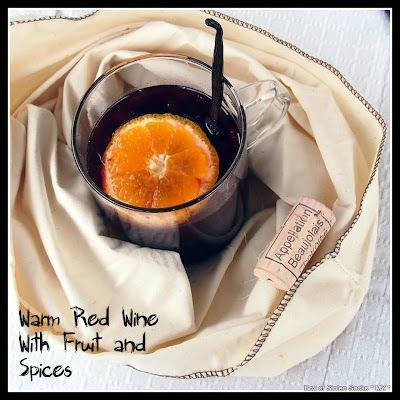 A few months ago I saw a recipe for a Cranberry Orange Wassail and thought that I could make something like this using wine instead of apple cider. I raided the cupboards and the pantry and found some of the required ingredients. I improvised a bit with the cooking time and ended up with a concoction so flavourful and aromatic that with difficulty I managed to save half a cup for the photographs! Pour the wine, pineapple juice and honey in a large heavy-bottomed pot. Bring to a slow simmer add the cinnamon, vanilla pod, cranberries and oranges. Cover half way and simmer on low heat for 2 - 3 hours depending on how concentrated you want the end result to be. Mine turned out to like a spicy wine liqueur. If you want a quicker alternative simmer it for 30 - 45 minutes. When it is ready, strain the oranges, vanilla, cinnamon and cranberries and drink warm of cold. I kept the vanilla pod to use it again in making wine-soaked-vanilla sugar (will let you know how this turns out) and put the cranberries on top of some fresh yoghurt for a quick dessert for M-i-L.
Beaujolais is meant to be drunk young, but not THAT young! When you read interviews with beaujolais producers that try to make quality wine, the Beaujolais Nouveau "fashion" has even more destroyed the already bad opinion the region's wines had. It's absolutely undrinkable, gives headache and Beaujolais Nouveau works the best in countries where people in majority don't know anything about wine alas (Japan, Poland...). Gamay can be decent though (I have had several decent beaujolais bottles, of course nothing I would pay more than 10 euros, but I was surprised at the quality given the price). Some wine specialists say that Beaujolais region is nowadays the best place to hunt decent and very cheap wines. It has such a bad opinion, its wine producers simply cannot sell their wines at high prices (yet!). Great idea to make mulled wine! You have reminded me I must prepare it soon too. I have been drinking it for ages (it's very popular in many countries). Another advice for your bottles: sauce bolognese. I couldn't agree more with you Sissi! The whole hullabaloo created by public relations and wine giants has completely distorted the image of the grape and the wine produced in the area to the general public. You can actually find some very good Beaujolais Crus which you can age for 4 - 10 years especially those from Chénas, Moulin à Vent and Morgon. They are not as cheap as Beaujolais Primeur because they are made from small growers and don't go through the négociant route but if you get your hands on one of those babies I would say pay the extra euros because I'm sure they are worth it!! I cooked the wine for a long time so I wouldn't call it mulled wine :) more like wine liqueur/syrup, it was so sweet and tasty we drunk it really quickly and pleasantly!!! Learned a lot! The recipe looks yummy! Sound like a Gluhwein, delicious! Please share with me your thoughts about this post. Thank you for visiting.